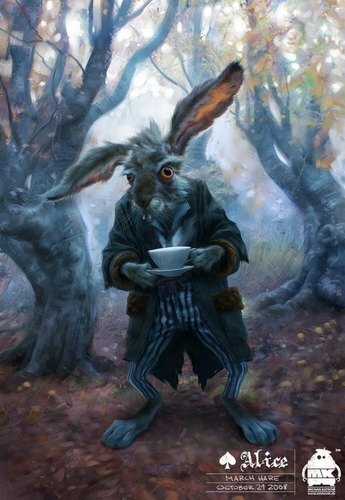 The March खरगोश, हरे ~ Character Art द्वारा 'Alice In Wonderland' Character Designer Michael Kutsche. . HD Wallpaper and background images in the ऐलिस इन वण्डरलैण्ड club tagged: alice in wonderland tim burton tim burton's alice in wonderland michael kutsche character design art the march hare. He really does look mad! Love him.